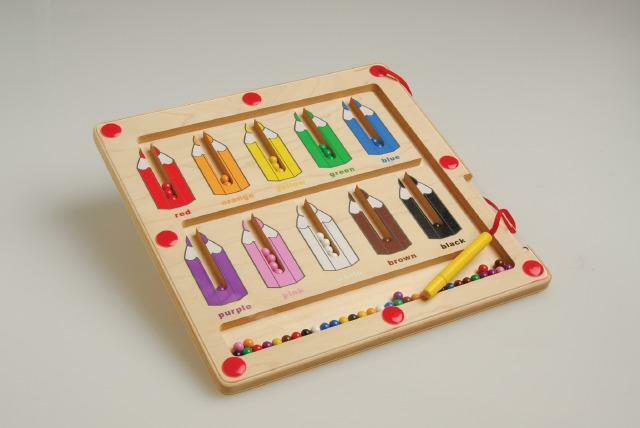 Guide and sort the colored balls in the matching colored pencils using the attached magnetic wand. The 11. 5" square wooden base is enclosed under an acrylic panel. THIS PRODUCT IS ON BACK ORDER UNTIL THE END OF MARCH. WE ARE VERY SORRY FOR THE INCONVENIENCE. IF YOU WOULD LIKE TO PLACE ON BACK ORDER PLEASE CALL US AT 800-467-6222.